Saving places is not always the act of a single individual. It involves partnerships and cooperation of advocates in every corner of a community. The same can be said for our commitment to sustainable historic preservation. As preservationists we’ve been using Elefante’s words as a rallying cry for decades, but talking to ourselves about “the greenest building” only get us so far. Last month the Preservation Green Lab (PGL) attended and presented at Greenbuild 2013, the annual conference for green and sustainability advocates across the world. While there, PGL senior director Mark Huppert saw three possible points where preservation can improve its intersection with sustainability. We have an unprecedented opportunity to think beyond the individual building and focus on making great cities, towns, and neighborhoods together with our peers in the green building movement. They too have an opportunity to think beyond the walls and the products and the pieces of buildings to join us in our concern for people and the livability of places. Together, we can do more than we could ever accomplish separately. The world is moving toward incentivizing performance through data and evidence-based payments and regulation. LEED v4 [the latest version of LEED certification] is just one small example. [...] With change comes opportunity and with thoughtful maintenance and renovation, old buildings across the country are demonstrating that they can perform as well or better than their newer counterparts. [...] we can’t just live in the past, but we must wholeheartedly embrace what is necessary to sustain places for the future. In short, we need to work with our partners in the green building industry to focus on what happens inside and outside of the building as much as we care about the building itself. 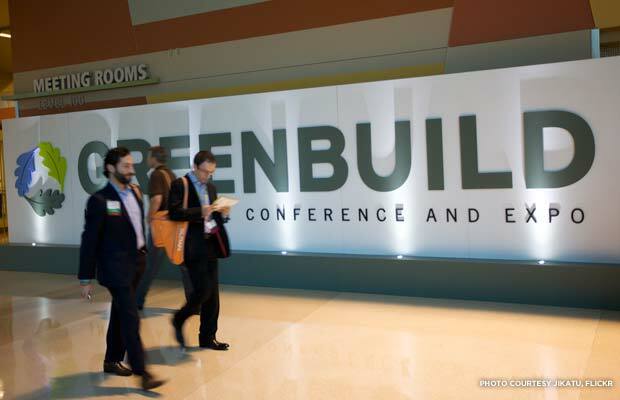 Read Mark's full Greenbuild 2013 analysis on the Preservation Leadership Forum blog, and let us know your thoughts!